When I arrived at your bedside in the hospital, you looked gravely ill and weak. There were four angels around your bed. One at each corner. They were so clear, like four pillars of incredible light. The pain in my heart was very deep and I knew things were serious, but I couldn’t tell if the angels were here to take you away or if they were just watching over you. They stood silently looking down. The doctors had removed your leg hours before and it looked like you were not strong enough to take it, but soon enough, you were awake again and coming round as the days unfolded. The image of the angels was so powerful. They stood like sentinels, one at each corner of your bed. I still see it so clearly. Certainly, it was not your time to go and whatever they did to assist, I am grateful. The day before, I had tried to offer healing to your leg, but it was powerfully pushed away. I can still feel the electricity which almost took my fingers off. It was time for the leg to leave you, but sometimes we can’t tell why things are the way they are. It is just a part of the journey through life. A little at a time, it seems parts of our physical selves leave as we wander towards the gate of inevitability and continuity in another form. I have seen many things of a spiritual nature since my awakening many years ago, but the image of the angels around you is still profound. Who sent them? What do they mean? Who are you to command such a presence? Clearly, somebody somewhere thinks you are important and that your journey must continue, when clearly, it looked like it might have been over for this lifetime. 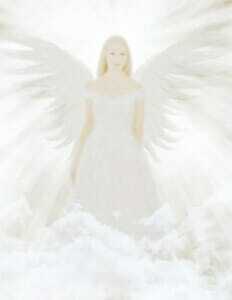 When the vision of the angels touched my heart, it was profound. Their Light burst my heart open. They were statuesque, unmoving, almost unseeing, as if somebody had sent them as guardians, not to move or be moved by anyone or anything. Behind them lay a great power and as I have contemplated it over the years, clearly you are very important to somebody upstairs and your work is not yet done. On the evening of the 12th of the 12th, 2016, I was watching the University Challenge quiz show. A question came up that gave me a sudden insight. The question was this: What metallic element was first isolated from the gemstone Emerald? I knew the answer immediately and none of the team got it. The answer was Beryllium. I remember as a boy I had a lovely Reader’s Digest atlas of the world. Near the back of the book there was a page on gems and minerals and there was a stunning green stone called Beryl, which was always my favourite stone. Beryl is related to emerald. So, the insight that came to me at that quiz-time moment was that my Mother, Beryl, gave birth to a son who would perfect her Beryllium Light into its purest form, which is Emerald. The Emerald Heart Light was the great gift that the Universe poured into my heart in 2005 to accelerate the evolution of human consciousness. The Light that would bring the Light of Jesus into the world through my heart, my words and my teachings. So you are Beryl, daughter of Mary, bringer of David and the Light that opens hearts to the Light of the world.